When people take a certain career path, leveling up in one way or another is one certain step to take along the way. For people who chose to work for the IT industry, investing money and time in Cisco training center in the Philippines is one way to level up. It’s definitely a no-brainer to ask why. The generic answer is of course, there will always be room for improvement in the career we build, and we always take every chance to do it. But there are specific answers, too, and below are some perks of going to a Cisco training center in the country. By theory, recent policies are gearing toward more efficient transactions in the government. One example is the national ID system that aims to streamline government processes, which are notorious for being highly bureaucratic and time-consuming. This just shows the tail of the opportunity in the government side because the full potential of network design, which is a salient coverage of Cisco trainings, has not yet been realized. With national ID system as a spring board, more policies that will demand more network design workers will definitely fall into place in the future policy direction. On the business side, network design needs are already in solid shape. Importance of network design has already been established, especially in terms of the company’s information management. Today when information is considered power, network design is surely a necessity for businesses to keep up with today’s competition. Painting a hypothetical picture of the information-sharing activities in a company can help picture why network design is becoming a must today. For instance, Larry belongs to the finance division of a company. He needs to know how many times Lisa was late in the past month so that he will know how much deduction he will impose on Lisa’s latest salary. More backward system will make Larry walk to the human resources office to get the bulk of records on employee’s attendance for the month. After that, Larry will still have to run through the papers one by one to do his job. But with a network design that lets Larry simply click on his computer to access the electronic files of human resources, so much time and efforts will be saved. He can now dedicate the time he is supposed to spend on walking for other important tasks. That illustration is just child’s play when we talk about the gigantic benefits of a network design for businesses. There is definitely more to employee’s attendance. Aside from making the operations more efficient, network designs will also help in times of disaster emergencies when information is prone to being washed away. By attending a Cisco training center in the Philippines, learning the mechanisms of how to cope with emergencies so that company’s information will still be saved is part of the career leveling up. Hold on. I thought that the perks are for me? 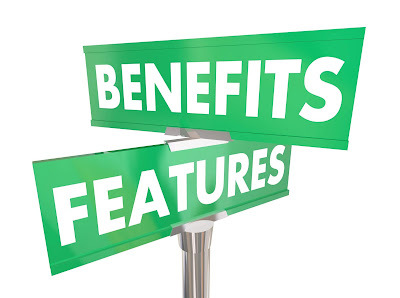 The perks or advantages discussed are obviously on the side of businesses or government. But actually, their perks are also yours! Having a demand for people who will or who underwent Cisco training, sprouting opportunities will definitely be there for you. So what are you waiting for? Get moving now and look for the best Cisco training in the Philippines!